This wonderful Arc is stunning toy with lots of play value. Beautifully made in bright colours and a sense of style by our friends at Le Toy Van, Noah's Shape Sorter comes with seven pairs of super cute wooden animals, as well as Noah and his wife. Just shape sort the animals through the right slots, and then when you've finished, slide open the doors in the hull to start all over again. The perfect gift for a Christening or birthday, Noah's Shape Sorter remains one of the most popular early learning toys in both our shops. This is a fantastically detailed and strikingly attractive toy, that will last for a childhood and beyond. The Arc comes with a useful little carry handle, so it's easy to move around with your little one. 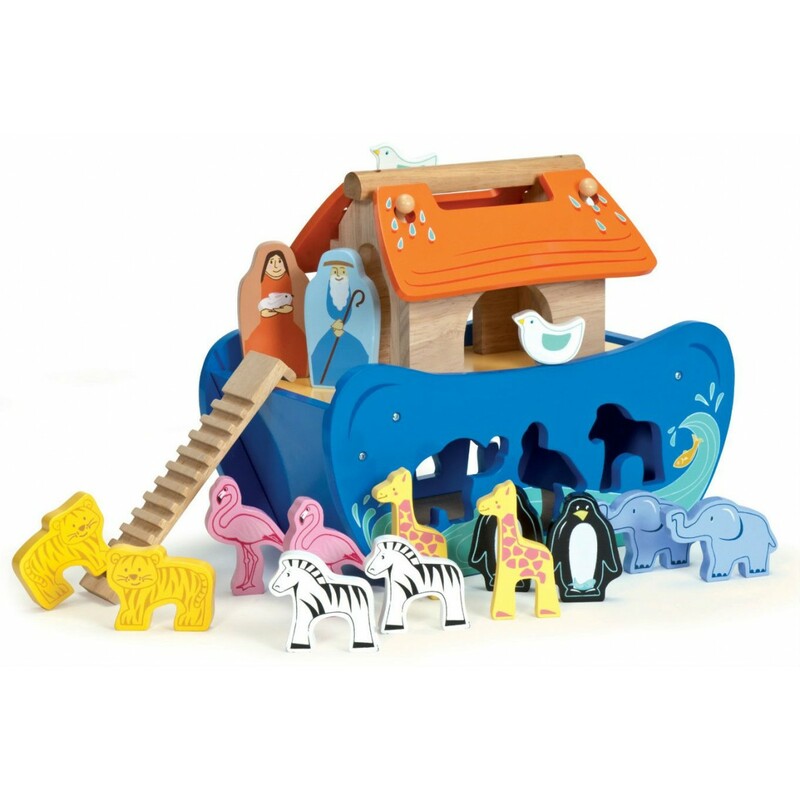 With fourteen animals, as well as Noah and his wife, there's lots of potential for imaginative play and story telling.